Get hands-on practice with over 100 data structures and algorithm exercises. We partner with leading companies around the world to give you the most relevant and engaging learning experience possible and ensure you are equipped with the skills you need to qualify for your dream job. "After completing my Nanodegree, I landed a job as a web developer. Now I work as a technical project manager. Being part of the Udacity community has opened my eyes to greater goals." 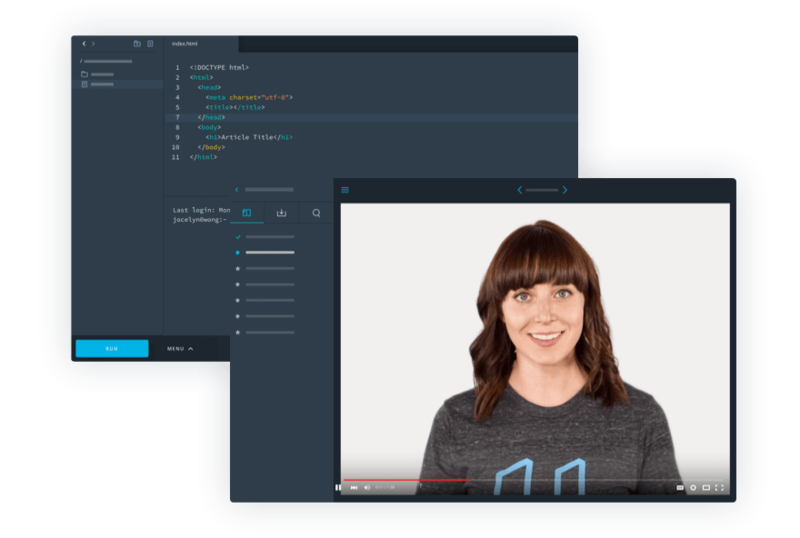 "I hope the Udacity experience can be as transformative and revealing for others as it has been for me." "The Udacity community is the most motivating learning environment I've ever encountered. My Android Basics Nanodegree got me a job at the mobile agency CodeYard." "Through Udacity I learned to code and created GreenFeet: an app that measures your carbon footprint. Now, I am able to find work that compatible with my life as a mother." "Before Udacity, I was a high school math teacher with no CS background. Now I'm an Android Developer at Capital One, doing something I love while earning twice as much." "At Udacity, I learned what it takes to land a job in tech: How to build great apps and how to market myself to top employers. Now I'm a Mobile Developer at Connected Space in London." Learn from industry experts and leading academics in an immersive online classroom environment. Hands-on learning, interactive content, measurable progress. Experienced mentors, expert reviewers, engaged and dynamic student community. Industry-designed projects, actionable feedback, portfolio-ready results. Resume reviews, interview prep, expert career guidance.